MultiBootUSB allows you to install multiple live linux on a USB disk non destructively and option to uninstall distros. Try out the world's first true cross platform multi boot live usb creator for free. 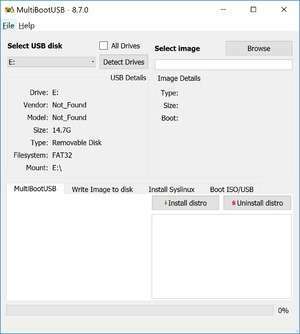 USB bootable discs made with MultiBootUSB can be tested without reboot using inbuilt QEMU. For security reasons, you should also check out the MultiBootUSB download at LO4D.com which includes virus and malware tests. Additional screenshots of this application download may be available, too. Providing a number of tools to management your various types of storage media. Check out some of the freeware downloads available in the disk utility category. They contain no strings and are available at zero cost.